1. Watch the market leaders. Watch the market leaders, the stocks that have led the charge upward in a bull market. 2. Markets are driven by humans and human nature never changes. There is nothing new on Wall Street or in stock speculation. I absolutely believe that price movement patterns are being repeated. They are recurring patterns that appear over and over, with slight variations. This is because markets are driven by humans — and human nature never changes. 3. Markets are never wrong but opinions often are. The market will often go contrary to what speculators have predicted. 4. It was never my thinking that made the big money for me. It always was my sitting. They say you never go broke taking profits. No, you don’t. But neither do you grow rich taking a four-point profit in a bull market. 5. You can win on a stock, but you cannot beat Wall Street all the time. First, do not be invested in the market all the time. There is the plain fool, who does the wrong thing at all times everywhere, but there is also the Wall Street fool, who thinks he must trade all the time. No man can have adequate reasons for buying or selling stocks daily– or sufficient knowledge to make his play an intelligent play. Remember this: When you are doing nothing, those speculators who feel they must trade day in and day out, are laying the foundation for your next venture. You will reap the benefits from their mistakes. 6. It is what people actually did in the stock market that counted – not what they said they were going to do. 7. Successful trading is always an emotional battle for the speculator, not an intelligent battle. 8. I believe that the public wants to be led, to be instructed, to be told what to do. They want reassurance. They will always move en masse, a mob, a herd, a group because people want the safety of human company. 9. I believe that having the discipline to follow your rules is essential. 10. If you can’t sleep at night because of your stock market position, then you have gone too far. 11. Remember that stocks are never too high for you to begin buying or too low to begin selling. 12. I never argue with the tape. When I am long of stocks it is because my reading of conditions has made me bullish. 13. Not taking the loss — that is what does damage to the pocketbook and to the soul. Losing money is the least of my troubles. A loss never troubles me after I take it. I forget it overnight. But being wrong – not taking the loss – that is what does the damage to the pocketbook and to the soul. 14. I trade on my own information and follow my own methods. 15. Trade along the path of least resistance. If after a long steady rise a stock turns and gradually begins to go down, with only occasional small rallies, it is obvious that the line of least resistance has changed from upward to downward. Such being the case why should anyone ask for explanations? There are probably very good reasons why it should go down. 16. I don’t buy long stocks on a scale down, I buy on a scale up. When I’m bearish and I sell a stock, each sale must be at a lower level than the previous sale. When I am buying, the reverse is true. I must buy on a rising scale. I don’t buy long stocks on a scale down, I buy on a scale up. 17. Don’t be fooled by the charisma of other traders. It cost me millions to learn that another dangerous enemy to a trader is his susceptibility to the urging of a magnetic personality when plausibly expressed by a brilliant mind. A man must know himself thoroughly if he is going to make a good job out of trading in the speculative markets. When the market goes against you, you hope that every day will be the last day – and you lose more than you should, have you not listened to hope. And when the market goes your way, you become fearful that the next day will take away your profit and you get out – too soon. The successful trader has to fight these two deep-seated instincts. 20. Trading is not a get rich quick scheme. The game of speculation is the most uniformly fascinating game in the world. But it is not a game for the stupid, the mentally lazy, the person of inferior emotional balance, or the get-rich-quick adventurer. They will die poor. 21. Being a little late in a trade is insurance that your opinion is correct. It is foolhardy to make a second trade if your first trade shows you a loss. Never average losses. Let this thought be written indelibly upon your mind. 23. The trend is your friend. Successful traders always follow the line of least resistance. Follow the trend. The trend is your friend. 24. Always trade with a stop loss. When you make a trade, “you should have a clear target where to sell if the market moves against you. And you must obey your rules! Never sustain a loss of more than 10% of your capital. Losses are twice as expensive to make up. I always established a stop before making a trade. 25. Don’t try to play the market all the time. Every once in a while, you must go to cash, take a break, take a vacation. Don’t try to play the market all the time. It can’t be done, too tough on the emotions. These trading rules are personally handpicked by me and include the biggest names in trading, like Jesse Livermore, Paul Tudor Jones and Ed Seykota. Fantastic article, I have the book on your recommendation. Yes it’s a excellent book. I’ve read it 3 times myself, and still learning more each and every time. Definitely on my recommended list! You read it 3 times and still missed the most important lesson…? So, what are you trying to imply? Hey Rayner, what book are you referring to? thanks for the article. It is great. Very good thoughts, even from the beginning of previous century they are actual nowadays. 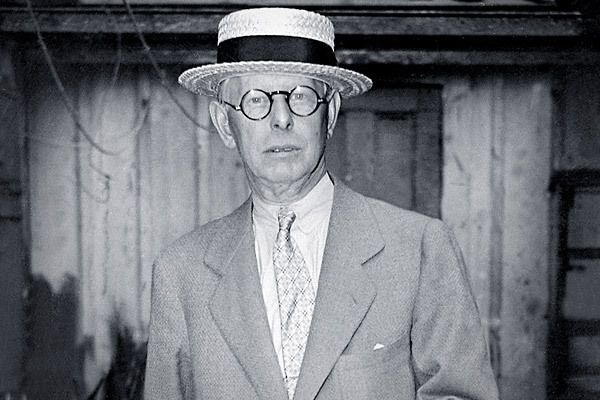 I also can recommend other good book about that great trader: «Jesse Livermore: The World’s Greatest Stock Trader»” by Richard Smitten – a little bit other style, good real photoes in the end, description of the family life and relations and…. the death of Mr. Livermore. Yes it was unfortunate that he broke he rules and lost it all. In fact he broke his rules a few times, but each time he came back stronger. Alas the final time caused him to take his own life. This is definitely a very valuable lesson for me personally.